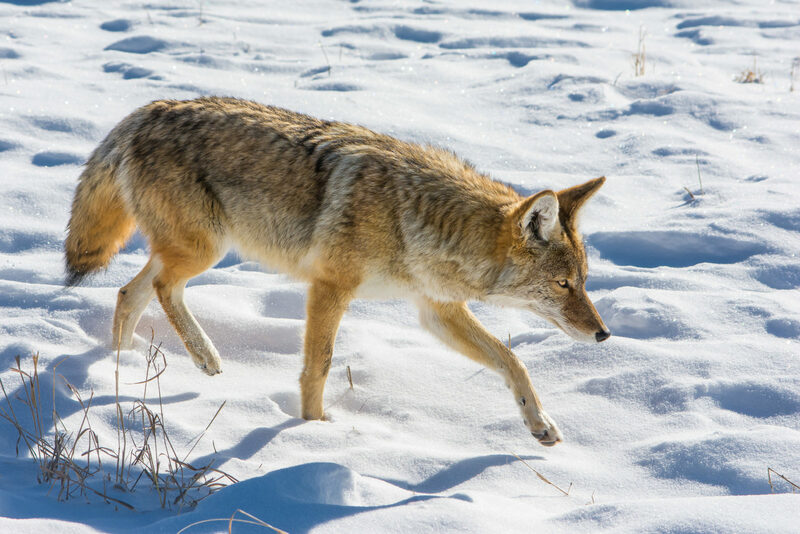 A coyote searches the sagebrush in Yellowstone National Park for a meal. It was -10ºf as this beautiful creature intently searched for a meal. It would occasionally stop at a bush, dig around, and come up with a mouthful of rodent, but for the most part it kept moving, hoping to scare something up.